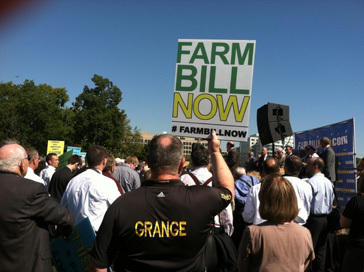 WASHINGTON, D.C. – Grange members, along with representatives of about 90 different organizations and about a dozen politicians from both major parties, gathered on Capitol Hill Wednesday morning to call on Congress to pass the 2012 Farm Bill before Sept. 30, the date current legislation will expire. 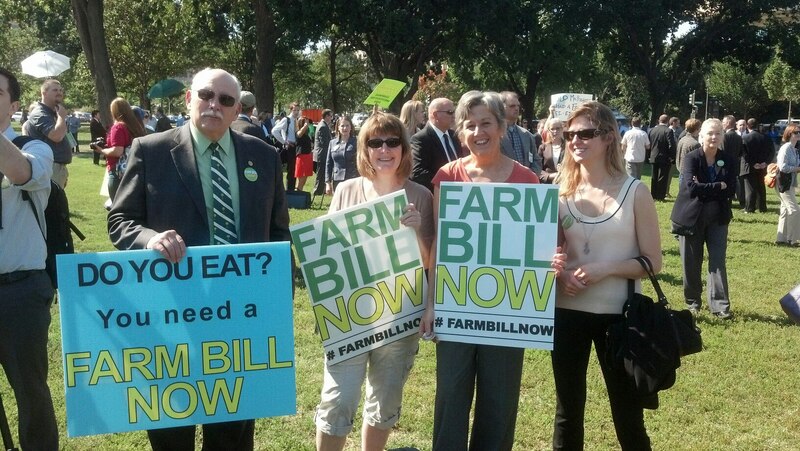 National Grange Executive Committee Chairwoman Betsy Huber, of Oxford, Pa., who attended the rally, called it an important step toward raising public awareness about the scope of the Farm Bill and the need of all Americans to see the legislation passed. Senate Agriculture Committee Chairwoman Debbie Stabenow (D-Mich.) spoke to the crowd of nearly 500 during the rally, saying the Senate got their job done, passing a Farm Bill, and it was time for Congress to do the same. “There’s no reason that this Farm Bill can’t get passed by the House… you just have to want to get it done, have some political will to get it done,” Stabenow said. Organizers and legislators both stressed the importance of individuals contacting their Representatives in Congress to urge passage of the 2012 Farm Bill. National Grange Legislative Director echoed Moran’s call, saying all Americans, but especially Grange members, should immediately contact their U.S. Representatives about the need for the passage of the 2012 Farm Bill. “A phone call, a letter, an email, a fax – there are many easy ways Americans can communicate their support for the passage of a Farm Bill to their legislators,” Boatright said. She suggested members and the public visit the Farm Bill Now coalition website at www.farmbillnow.com and use the contact form available on the homepage. Established in 1867, The National Grange, a nonpartisan, nonprofit fraternal organization, is the oldest agricultural and rural community service organization. With more than 2,100 local chapters, the Grange has evolved into the nation’s leading rural advocacy organization and a major benefactor to local communities. There are more than 160,000 members across the United States. This entry was posted in National Grange News. Bookmark the permalink.